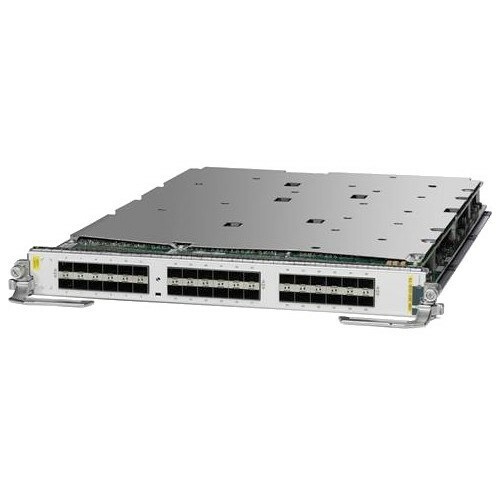 The Cisco® ASR 9000 Series 24-port and 48-port dual-rate 10 Gigabit and 1 Gigabit Ethernet line card deliver industry-leading high density and high 10 Gigabit/1 Gigabit Ethernet performance to any slot of a Cisco ASR 9000 Series Aggregation Services Router. These high-capacity line cards are designed to remove bandwidth bottlenecks in the network that are caused by a large increase in video-on-demand (VoD), IPTV, point-to-point video, Internet video, and cloud services traffic, all with an incredibly low power profile. Fully populating an ASR 9922 chassis with the 48-port line card delivers 960 ports of 10 Gigabit Ethernet or 960 ports of 1 Gigabit Ethernet in a single chassis. Such configurations are ideal for networks in which density, performance, and low-latency operations are critical. The 24-port and the 48-port line cards are designed for throughput of 200G and 400G, respectively, but can operate in oversubscription mode up to 240G for the 24-port card and 480G for the 48-port card. There will be a graceful redistribution of packets across all ports in case of oversubscription. All the ports on the line card can be configured to be all in 10G or all in 1G mode. The line card also offers the flexibility to support certain mixed 1G and 10G configurations. 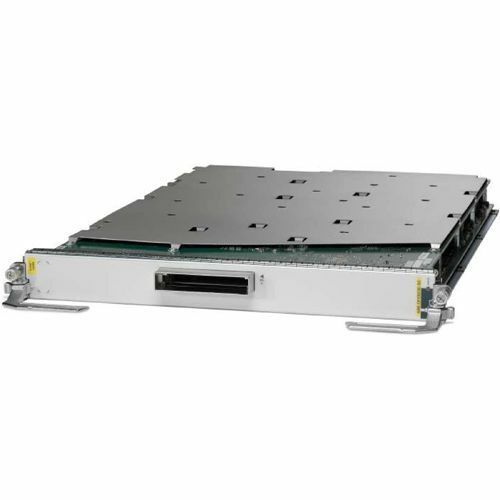 The physical interfaces on these line cards support both Small Form-Factor Pluggable (SFP) and Enhanced SFP (SFP+) optics for long- and short-haul applications, enabling migration and support for numerous deployment scenarios requiring different media types and flexible interface modes. With these capabilities, the ASR 9000 Series line cards (Figure 1 and Figure 2) and routers provide the fundamental infrastructure for scalable Carrier Ethernet and IP/Multiprotocol Label Switching (IP/MPLS) networks, promoting profitable business, residential, and mobile services. Both the ASR 9000 Series 24-port and 48-port dual-rate 10GE/1GE line cards are fully compatible with all ASR9000 modular chassis. 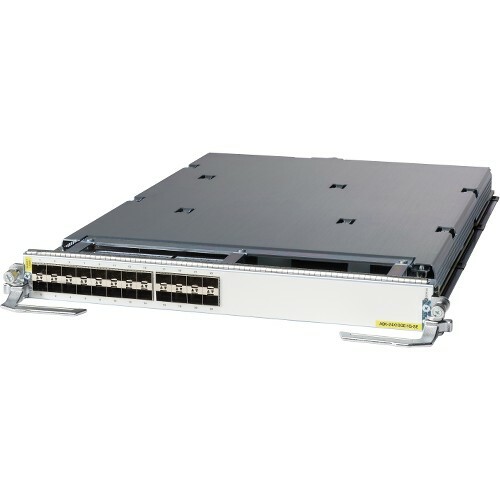 Powered by the proven and the widely deployed Cisco IOS® XR Software OS, these line cards set a new standard for Layer 2 and Layer 3 10GE/1GE service density and scale to support large-scale aggregation, data center interconnect (DCI), and Satellite Network Virtualization (nV) System mode on the ASR 9000 Series Router. These versatile capabilities help operators qualify and stock one type of line card that can be deployed in any combination of Layer 2, Layer 3, DCI, or aggregation applications, thereby reducing capital expenditures (CapEx) and operating expenses (OpEx), as well as reducing the time required to develop and deploy new services.